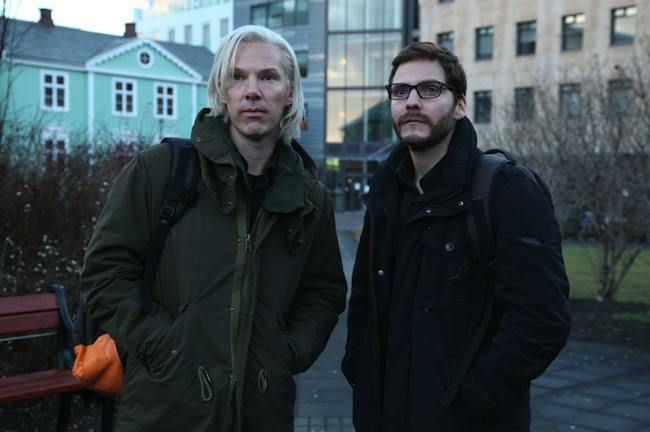 Benedict Cumberbatch visited Wikileaks founder Julian Assange to ask him for advice in making this movie. Assange told him not to do it. Maybe Cumberbatch should have taken heed to his request as this sometimes muddled but ultimately dull retelling of the history of the dangerous website that shook the world with its longing of truth. Australian Julian Assange has started a website that is determined to tell the truth about all those hidden secrets the world’s governments try to hide. He needs help and turns to computer hacker Daniel Berg for help. The two men, with huge ambitions, decide to bring down a corrupt bank. Instantly their actions are noticed by the world’s media, especially The Guardian newspaper. When more and more truths are revealed and their website becomes a major talking point, Assange’s personal ambitions start clouding his judgments while Berg can see the dangers they could be causing. When a document comes into their hands, showing the military’s and the American government’s action in Afghanistan, Wikileaks becomes bigger than the men themselves, forcing their partnership to breaking point. Bill Condon’s film is troublesome to say the least, not more so than its pacing. Making a film in which the majority of the conversations are made in chat-rooms and on the internet means that Condon is forced to use cliches to show them, from text-like subtitles, narration over the words and even a trick last used in the 1995 computer film, Hackers, where the words are colourfully shined across the faces of the actors. 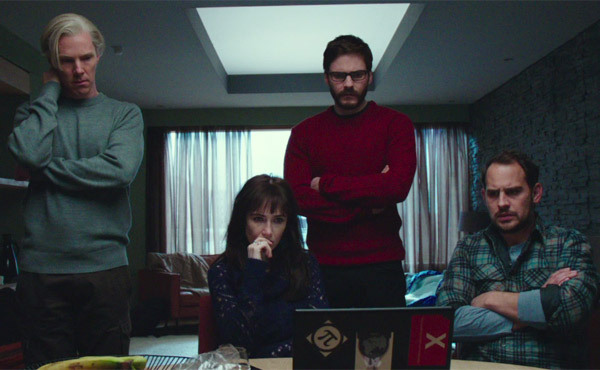 It also lends heavily on The Social Network, in which the same story-line; two men working on an ambitious computer programme, one being more power-hungry than the other, is gleefully played out. There’s also the shaky camera work, large text to show where the characters are and newspaper rooms where journalists rush around like it’s the end of the world. It all may seem very exciting but underneath it’s rather dull. It also doesn’t help that there are so many questions to be asked but none are answered. Julian Assange is a fascinating character but what was he really? Was he a revolutionary? An anarchist? A manipulator or an irresponsible egotist? Sure we can make up our own minds about him but it would have been better if we were given more mixed opinions instead of a one-sided argument. Maybe if Assange had agreed to be more involved with the film we would have more answers. Strange that a man who was so interested in the truth won’t share his own story? Then there’s the performances. all are very good as you would expect from a cast made up of first-rate actors. 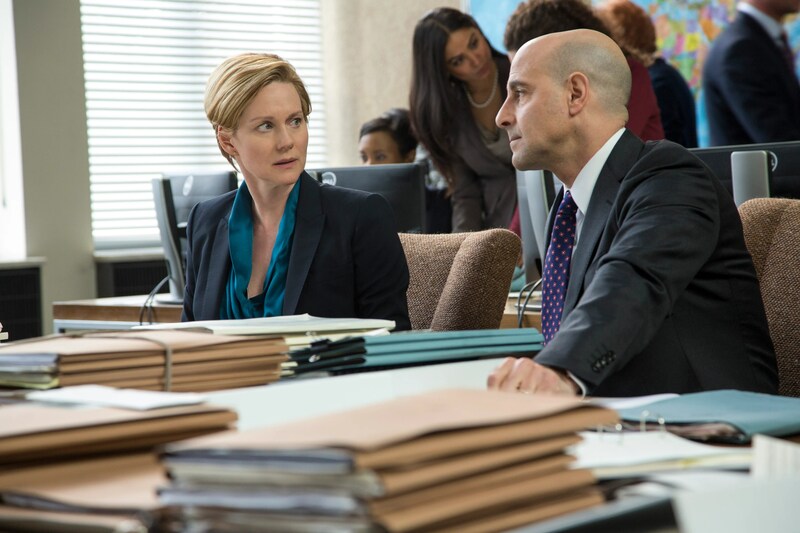 Laura Linney and Stanley Tucci are always good value while David Thewlis is fine as the Guardian journalist who helps the men. Daniel Bruhl, coming off his success playing Nikki Lauder in the excellent Rush, is also very good here, although his part doesn’t allow him as much scope to play with. At the centre of it all is Cumberbatch, slowly emerging as one of this country’s finest actors. He is Assange, capturing his mannerisms, his accents, his very core. After minutes, you forget you are watching the Sherlock actor. Alas, like Meryl Street when she played Margaret Thatcher in The Iron Lady, his is a far better performance that deserves a better film. This isn’t a terrible film. It’s just dull and with a subject matter such as this, it should have been intriguing and interesting. It’s not and when the only excitement comes with the slamming of a laptop (which happens often) you know you are in trouble. A brave attempt to tell a world-changing story but not brave enough.